Landex, the membership organisation that represents colleges and universities offering land-based programmes, has worked with the 157 Group to publish a series of learner profiles aimed at raising awareness of the success and achievements of vocational students. ‘The road to employment: Learner voices’ includes stories about seven learners who have all achieved outstanding success after following a vocational course at a specialist land-based college. Several of them attended a reception at the House of Lords in November, with their families and tutors, to celebrate vocational education and their collective achievements. Chris Moody, chief executive of Landex, said, "The case studies highlight the key factors leading to the students’ success and provide inspiration for anyone hoping to train for a land-based career or wanting to work with or do something they truly love. "The learners particularly valued the practical work experience opportunities included as part of their college courses. The substantial practical experience in land-based courses prepares large numbers of young people for direct entry to industry or progression to university courses. "Those whose stories appear in the publication have secured employment with prestigious employers or moved on to further study: examples include gamekeeping at the Queen’s Sandringham Estate; working in the grounds of a prestigious visitor attraction; running a start-up business alongside a family farm; and progressing to degree courses at the Royal Veterinary College, Royal Agricultural University and Kew Gardens." 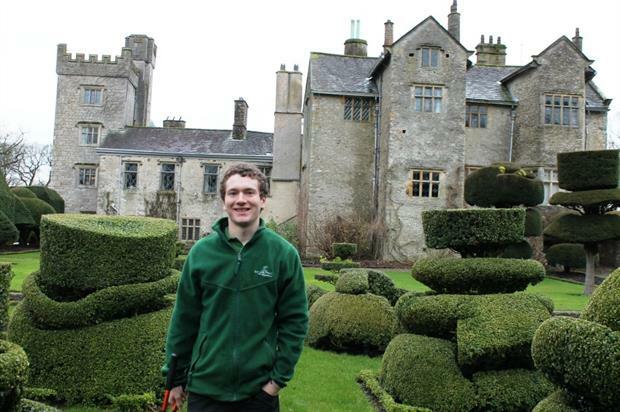 Joe Clements, who studied at Myerscough College, said, "The support from my tutor and guidance from the experienced head gardener was of real benefit. My apprenticeship gave me the opportunity to discover a passion for topiary gardening, and the necessary preparation to pursue a horticulture degree at Kew Gardens." Sam Hugill, who studied at Askham Bryan College, said, "Alongside agronomy – the science of crop production and soil management – I was able to specialise in business management and picked up a lot of ideas on how to make our business more profitable." Katie Piper, who studied at Easton Otley College, said "Switching to a BTec was definitely the right decision for me: now I’m at the Royal Veterinary College, I’ve noticed that my peers who did A levels have the knowledge, but don’t necessarily have the practical experience. It’s good to feel I’m ahead of the game."